Whether you’re new to camping, need a great value small tent, or even looking for something a little more technical but not ready to make the jump, our Adventure range ticks all the boxes. Our proven Experience range combines the reliability of a Vango tent with affordability. A safe and reliable choice for users to experience the outdoors. The Adventure range is a long-standing favourite of Scout groups, adventure sports enthusiasts and those away on sociable weekend trips. Featuring alloy poles to reduce weight and in our cactus green colourway; our Adventure AL tent poles are 15% lighter while more durable componentry makes it ideal for taking on more challenging pitches. 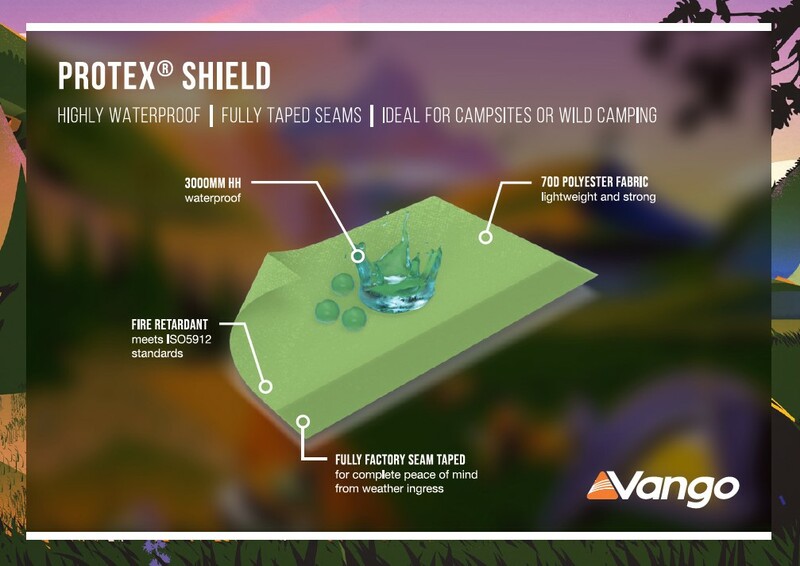 This year, fabric innovation has been a key development area for the Vango team. Our research and development has resulted in the introduction and updating of our fabrics which will beat the elements come rain or shine. Although fabric has been our key innovation this year, we haven’t stopped there. Our range of adventure tents remain feature packed with features such as: TBS II, Lights out inner tents for a great night’s sleep and Vango Powerflex fibreglass poles. View the full range of adventure tents.